I've been out of blogger commission for awhile. Its partly because I was sick, and then partly because my life got cray cray insane busy. I really enjoy my job. A lot. Everyday I get to go and do something I really enjoy. Pretty soon here, I'll have to let you guys in on what it is exactly that I do. 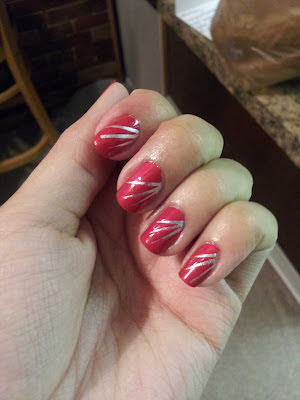 I also gave myself a pretty awesome Buckeye inspired mani. Even thought they didn't make it any further I'm still so so proud to be a Buckeye. I got some great retail therapy in the past few days. Perk of being employed I guess. My skins been a little cray so I stopped by Sephora to pick up some goodies. Once I've used them for awhile I'll let you guys in on how they work for me. So far I'm very excited. ALSO...SUPER excited that Instagram is now on Andriod. Woot! I'm there: katygoesboom. Since I've now joined in the awesomeness I will be participating in the #30daysofbeauty challenge. Supa fun!!!! Today was day 3 which was my nails :) Clearly right up my alley. Yaaaay so happy you are back at your blog :) I hope you got my email...words can not express how happy you made me. Love you! 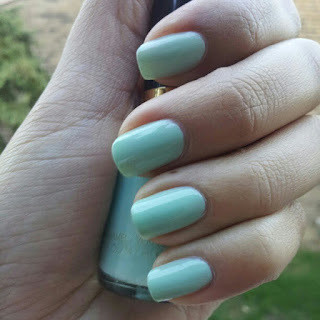 Ooh and yes, I love your mint nails. So cute.